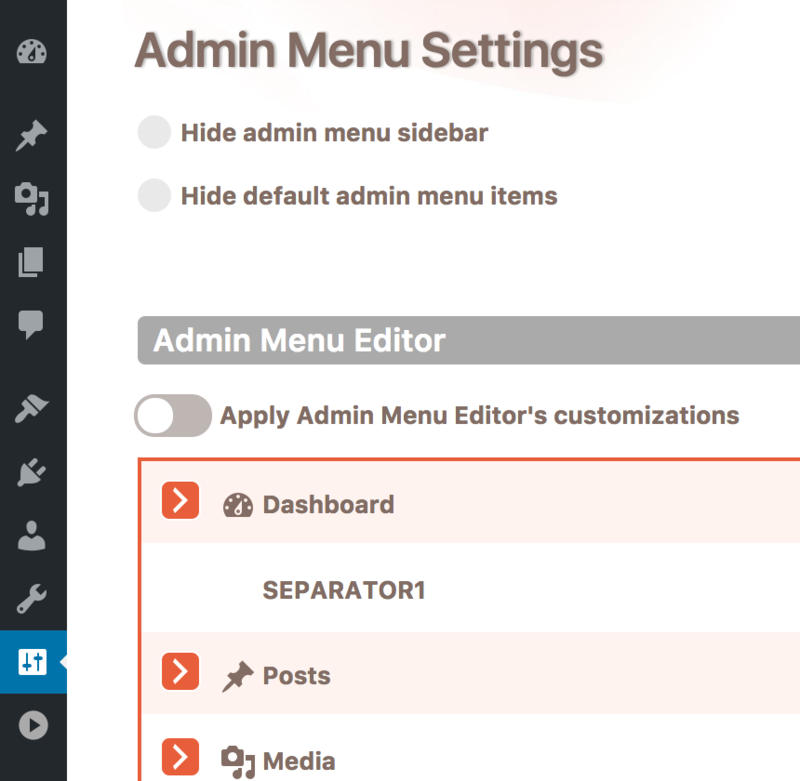 These are additional settings for admin menu that you can use to further customize appearance and behavior of your WordPress admin menu. These are small spaces between some admin menu items that are used to make admin menu items look grouped into some sections. You can notice that there is more space between Dashboard and Posts menu items and also between Comments and Appearance, by default. You can use this option to remove these separators and make the spacing between all admin menu items even. This will hide all icons from admin menu, and only text will remain visible. This is a small arrow that indicates currently opened menu item. You can hide it with this option. This will hide the last menu item "Collapse menu". Note: Hiding it will prevent additional changes to this state, so if your menu is already collapsed, you will not be able to expand it. Rename the default text "Collapse menu" with your own text. This will round the popup submenu box that appears when you move the mouse over a menu item. This will help you to set your own size of the rounded box corners, for the rounded submenu popup box. You can add your own custom image in the admin menu sidebar, that will appear just above the admin menu. 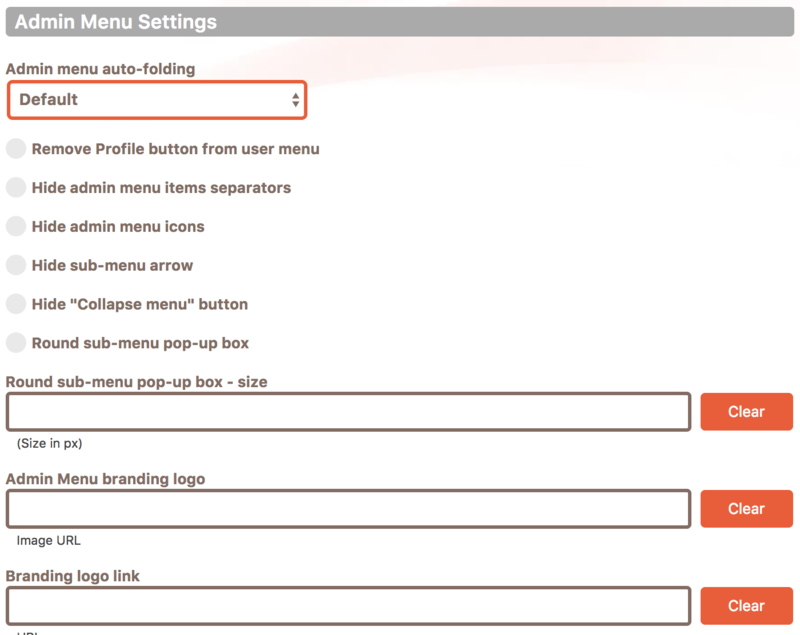 This can help you to further improve the branding of your admin panel. Is there anything that we can improve?